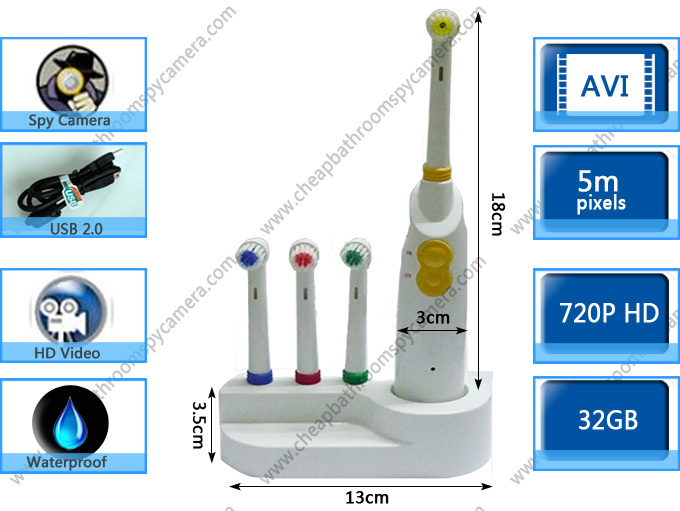 If you want to shoot something wonderful without notice, this Toothbrush Hidden Pinhole Spy Camera DVR can help you quite a lot. 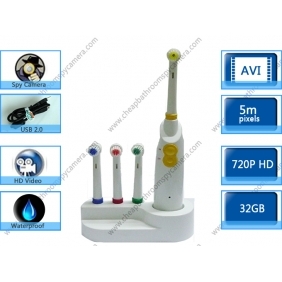 It looks the same with ordinary electric toothbrushs. But it has a wonderful function that is to be a good spy camera. 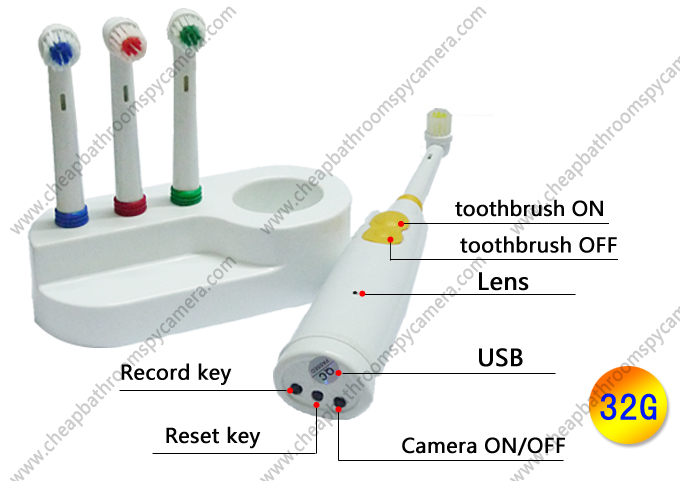 The bathroom spy camera is set inside the toothbrush, so ordinary people can not notice its existence. When the camera works, there is no noise, so no one knows it is shooting videos except the user. 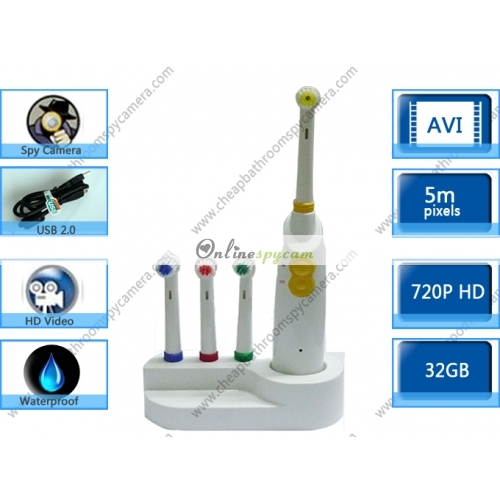 It has high definition which is up to 1280x720, you can get vivid videos so easily. The 32GB memory card and large capacity battery support the shooting work for a long time, about 14-18 hours. That's enough for a lot of amazing videos. Throught new technology, this product is waterproof. You can put it in the bathroom and this won't affact the shooting work. The function of electric toothbrush is still kept. You can use the electric toothbrush as usual. How convient! Do you want to shoot exciting videos secretly? This miraculous product can help you achieve your dream.